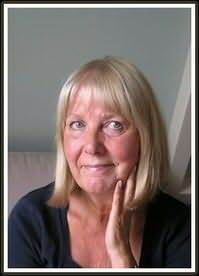 Theresa Tomlinson has been writing historical novels for many years; her titles include THE FORESTWIFE TRILOGY, MOON RIDERS, THE VOYAGE OF THE SNAKE LADY and WOLF GIRL. In recent years she has become fascinated by archaeological finds from the Dark Ages, eg The Staffordshire Hoard, and the discovery of a royal grave near Loftus in Cleveland, containing gold and garnet jewels. Theresa Tomlinson's new historical murder/mystery A SWARMING OF BEES is now available as a paperback and kindle edition. The action takes place in the cliff top monastery ruled by Abbess Hild - after the famous Synod of Whitby. Fridgyth the half-pagan herb-wife is curious, warm-hearted, and a law unto herself! When she suspects that some of the many deaths, may not be due to a terrible plague that is ravaging the country, Fridgyth sets out to investigate!